Data Manager | Mac App Storeのアプリ検索・ランキング BuzzMac! 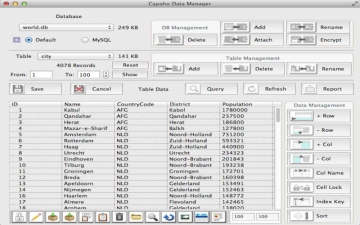 Data Manager is a freestanding SQL database management tool that makes managing data easy. Designed to provide the full power of SQL database management through an intuitive, easy to use graphical user interface without the need to know Structured Query Language. 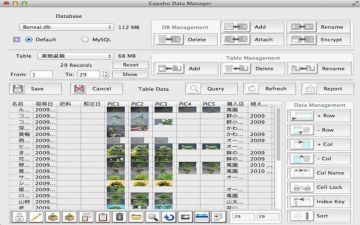 Data Manager is not merely a user interface, but a fully self-contained database application, creating and managing its own SQLite database files. In MySQL mode, Data Manager can be used to access, edit and create database files on a remote MySQL community server.